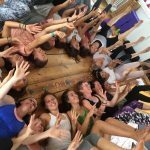 How the dream of the children’s yoga and mindfulness teacher training school became a reality … the story so far. I bring the knowledge of many wonderful teachers and teachings into my children’s yoga teacher trainings and classes for children aged 2-18 years. My focus is on educating, exercising and empowering the WHOLE child through yoga, meditation and mindfulness. Listening to my calling to work with children encouraged me to train as a Montessori teacher and at about the same time I started practicing yoga at the Sivananda Centre in Putney. About five years into my teaching I started incorporating little bits of my own yoga practice into the classroom and noticed what a profound affect it was having on the children… the Montessori philosophy and traditional yoga merging so naturally into each other. I travelled to the USA and trained as a children’s yoga teacher and trainer with the wonderful Marsha Wennig and whilst setting up YogaBeez I completed a 250hr Hatha Yoga training under Rishi Dharmajyoti at Yoga Vidya Gurukul in Nasik, India. My explorations over the years have led me to Reiki 1 and 2 diplomas and Vipassana meditation retreats. I’ve also been very fortunate to train with incredible teachers, Judith Lasater for restorative yoga, Rod Styker in Para Yoga and Nidra and Shiva Rea sharing her teachings on Soma Prana Vinyasa. Joe Barnett gifting his inspirational knowledge of anatomy whilst we explored Yin Yoga foundation and advanced trainings and recently I spent a wonderful week with Donna Farhi and Melissa Spammer exploring women’s yoga and Ayurveda. My true mindfulness practice started in 2013 on a 5-day educator’s retreat with Zen Maser Thich Naht Hahn and in 2015 I got to spend seven intense but life-changing days with Jon Kabat-Zinn exploring the MBSR programme. This led me to follow the PawsB training with MISP in 2016. Every year that Judith or Rod are in London, I enjoy more of the knowledge and wisdom of the teachings they are sharing. I’m always hungry for new knowledge and experience of yoga, children, psychology, meditation and my discoveries and teachings are constantly evolving. Over the years so many wonderful teachers have joined the hive! With a common passion and desire to share yoga with children, students from around the globe have taken part in our Foundation training and many have gone on to do the full 95- hour programme. If you are looking for a teacher to bring yoga into your school or yoga studio, please go to our Find a Teacher Page. If you would like to join our hive, see our teacher training page for more details. 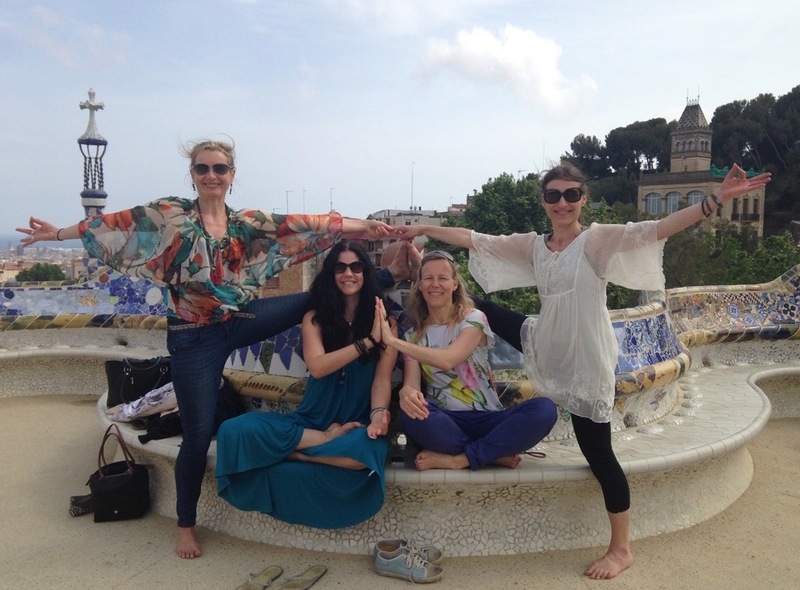 Kids Yoga Foundation was founded by a group of children’s yoga teachers and trainers from Belgium, Denmark, France, Germany, Sweden, South Africa and the United Kingdom. We are a group of mums, dads, teachers, friends and yogiswho have met along our journey of exploring yoga for children and we share a common vision… to bring yoga to as many kids and teachers and parents as we can. From babies to teens we have witnessed the vast benefits that yoga can bring, and we want to share our discoveries, tools and knowledge with others. We all teach yoga in schools, nurseries/kindergartens, after-school clubs and in various studios in our cities. When we are not teaching we are practicing, learning, writing and training others to do the same. Through our own wonderful yoga teachers and practices we have discovered exciting ways to incorporate the ethics and philosophy of traditional yoga and blend it with today’s curriculum requirements, to form a fun practice that educates, stimulates, relaxes and exercises the ‘WHOLE’ child. 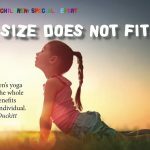 Together we have created a few unique children’s yoga teacher trainings and are committed to providing thorough information and research in this field. Our programs include; a 4-hour ‘Tools for Schools’ training – for teacher’s to bring yoga into schools – a 4 day Foundation Course teaching yoga to children from 2 – 12 years and a 95-hour comprehensive Children’s Yoga Teacher Training – for children from 2 – 18 yrs in accordance with the Yoga Alliance teaching standards. 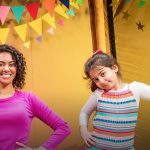 If you would like to learn more about us, and the trainings we offer, please explore our website www.kidsyogafoundation.webs.com and do not hesitate to contact any of us if you would like further information. At the heart of our program are the children themselves! They are the makers of man… it is indeed them who are the only ones that can change our future. We can give them seeds and even try our best to provide fertile soil but it is them who will ultimately sow these and grow their own gardens. So what we try to provide in our classes is an environment, which offers them the tools and equips them to head out into the big wide world. We don’t only focus on the physical postures of yoga but largely we focus on the breath. Get them to recognise and honour all the emotions they are feeling and give them tools to deal with these – anger, anxiety, depression. We also focus on community and freedom to express your thoughts and differences. See our classes page for an example of the lesson plans we use and how we encourage learning through movement. The classes are inter-curricular and stimulate all areas of development. We also include all the limbs of yoga … the philosophy, the poses, the breath, the mindfulness, meditation, concentration, learning and relaxation. You can also find local UK classes. Over the years we have joined and collaborated with many great schools, teachers, studios and cooperatives. I have always believed that community is key. The more of us that unite the more children we can reach. A boutique Yoga and Pilates studio in Peckham Rye. At Gaia, their vision is to provide a variety of yoga and pilates classes for all ages and abilities. Yoga Alliance is the largest non-profit association representing the yoga community. Their mission is to promote and support the integrity and diversity of the teaching of yoga. Kids Yoga Foundation is a group of mothers, teachers, friends and yoginis who have met along their journey of exploring yoga for children. They share a common vision … to bring yoga to as many kids and teachers and parents as they can. Just Beez is a provider of quality teacher training in mindfulness, yoga and restorative approaches to conflict for students and mindful classroom management for adults who work with children and young people. Their main mission is to promote the well-being of young people through the practice of yoga, in schools and elsewhere, in the UK and abroad. The London Centre for Mindfulness (LCfM) was founded by a group of like-minded long-term meditators with a desire to help spread the benefits of meditation to the wider community. Established by teachers from amongst the country’s most successful schools, Mindfulness in Schools Project (MiSP) aims to improve the lives of children by making a genuine, positive difference to their mental health and wellbeing. 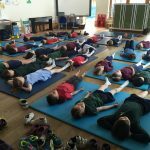 Providing Yoga and Mindfulness programmes to help children channel energy, relax, focus and feel good. The Sampoorna Yoga Studio is located in the heart of Brussels. They mainly offer Sampoorna Yoga – a vigorous, energising, relaxing style of hatha yoga in the Sivananda tradition. Visit the show in London and Manchester for a celebration of all things yoga! Creating beautiful portraits in the comfort of your own home. Yoga education centre in Copenhagen, Denmark. Yoga for all the family in Munchen, Germany. Largest yoga directory to find yoga classes, yoga retreats, yoga workshops, yoga teacher training, yoga Space, and yoga Promo Codes! Yoga Vidya Gurukul was founded in 1978 by Yogacharya Dr Vishwas Mandlik as a non-profit organisation, inspired and guided by the vision of Swami Satyananda of Bihar School of Yoga. They have more than 18,000 yoga teachers in India, 4,500 yoga teachers in other countries and more than 300,000 yoga students all over the world. As well as offering a full timetable of yoga styles for all abilities, awaken your senses and nurture yourself with Level Six Studio’s workshops, pilates classes and treatments for your health and wellbeing, based in Peckham, London.